I have a theory that a maker whose handmade gift is received with true happiness experiences tenfold happiness themselves. Of course, there is the joy we derive from the making itself and the love we put into each minute of that process, but we can only hope and not expect or demand that the recipient will love that thing as much as we do. And even if the recipient is a three-year old child who would likely have been delighted with just about any gift, sweet kid that she is, I feel just as much satisfaction as if I had been judged worthy by a panel of experienced knitters. Maybe more. Making Polly and her little travel set was almost as fun as seeing E open her present. Polly is knit with an Ontario grown-and-spun alpaca yarn I purchased from the lovely Alpaca Avenue shop. The clothes are knit with various yarns I had in my stash. The nice thing about doll clothing is that you don't need much yarn so I could dip into my collection of partials and singles and make a wardrobe, although it did limit my colour palette. I made a few attempts at knitting some of the Fair Isle dresses Julie published, but unfortunately, stranded knitting is not my forte, especially under time constraints, so I settled for simplified colourwork and accessorised instead. It wasn't intentional but all the accessories are of Danish design (which I deeply love, so probably not really a coincidence). 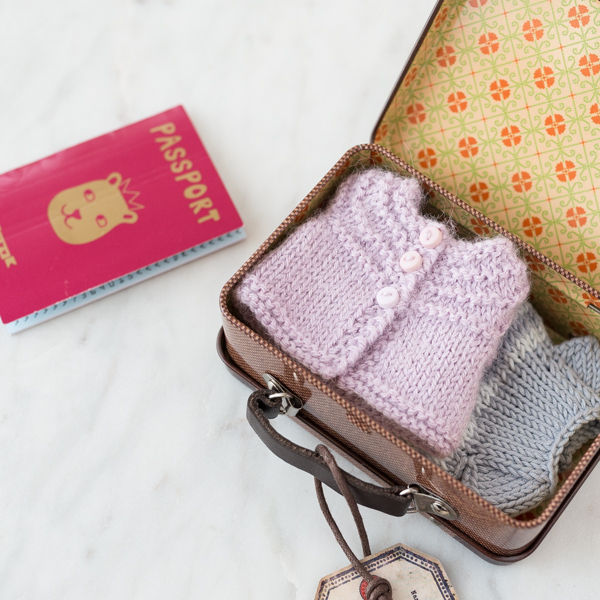 The little suitcase is made by Maileg (purchased from Kolkid, here in Toronto but available online). 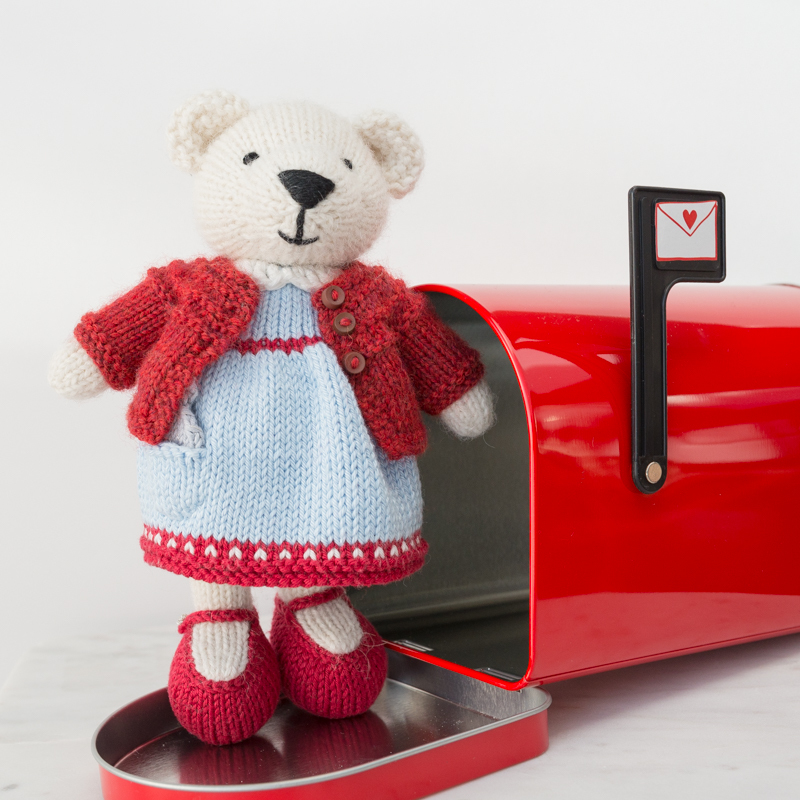 The gift box, a red tin mailbox, and the teddy passport (how could I resist?) are from a Flying Tiger store in NYC, (which is where I happened to be last month). Needless to say, E has earned herself a lifetime appointment to my knit-worthy list for this alone! *This post may have the slight stench of the humblebrag. Try to forgive me this weakness, but E was so happy. I'm just going to bask in this for a day or two.